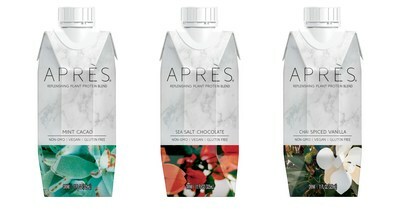 SAN FRANCISCO, Nov. 6, 2017 /PRNewswire/ — Today, Après launches the first ever plant-based protein beverage developed specifically for premium whole-body replenishment. The innovative beverage utilizes a proprietary blend of plant proteins, virgin coconut oil, and coconut water in a shelf-stable format for convenient on-the-go consumption. Based in San Francisco, Après is a digital-first beverage company founded by Sonny McCracken and Darby Jackson, two health and fitness enthusiasts-turned-entrepreneurs that partnered together to address a clear void in the market.